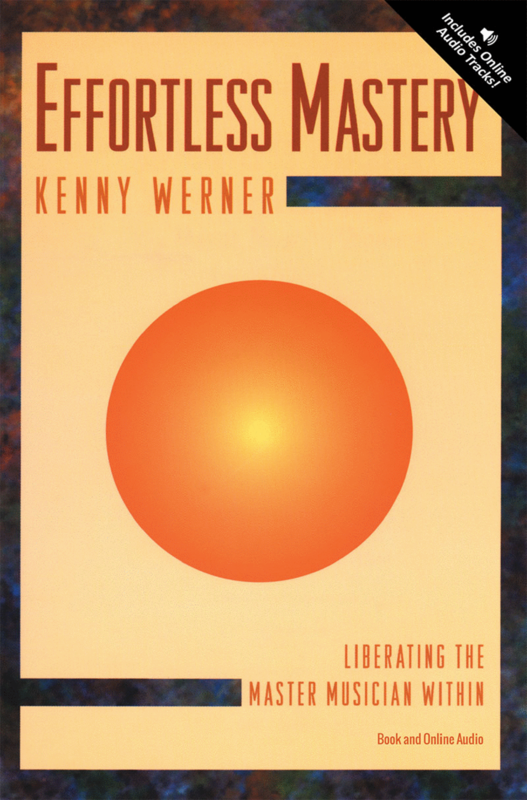 A book for players by a great player and philosopher, Kenny Werner. A book like this can shake your musical world by giving you new foundations to start working from or it can add some depth to your playing and ways of thinking about playing. Playing music should be as simple and natural as drawing a breath, yet most musicians are hindered by self-consciousness, apprehension, self-doubt, and stress. Before we can truly express our inner self, we must first learn to be at peace and overcome the distractions that can make performance difficult. Kenny's remarkable work deals directly with these hindrances, and presents ways to let our natural creative powers flow freely with minimal stress and effort. Includes an inspiring CD of meditations designed to initiate positive thought. This book has become a favorite of many musicians who credit it with changing their lives! Many are so impressed that they buy copies for their musician friends as gifts. Easy, effortless reading paperback. I've read this book multiple times over the years and always seem to find something to think about. The ideas presented in this book can help give a player inspiration to look at old problems in new ways, break habits and new ground, and approach their instrument and playing with the kind of focus usually reserved for elite players only. I highly recommend this book to anyone looking for an edge in their playing. The book covers everything from using space to getting over "the fear", to forgetting about being careful, to realizing there are no wrong notes (there is no spoon.) It's a book of philosophy and concrete ideas to try in your playing. This is one my of my top five books to have on the piano shelf.